This was only the second time that Houston had revived its observation of the Week of Prayer for Christian Unity holding an ecumenical prayer service. Last year’s was at the Co-Cathedral of the Sacred Heart. This year we celebrated at Lakewood Church. 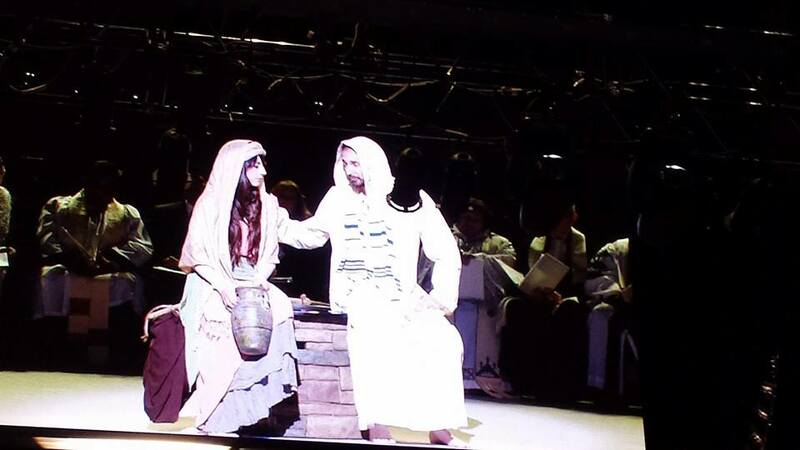 The theme was prepared in Brazil and focused around John 4:7 where Jesus said to the woman at the well: “Give me to drink”. As a symbol of unity pastors from various denominations and churches poured water into one fountain that unites us all. From the Baptist Preacher to the Cardinal of the Roman Catholic church we all brought a vessel to pour our own traditions into this event. I brought my Army canteen representing all the families that have suffered through wars over decades. One of the ushers at Lakewood Church saw that and shared his Vietnam story with me. Since Lakewood was the host church this year music was mostly their style with many people in the audience waving there hands like they do in concerts. One great performance artist after another took the stage. 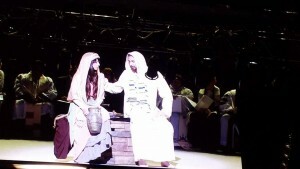 Lakewood’s drama team did a fantastic job bringing the scene between Jesus and the Samaritan woman at the well to life. 2. Make love your aim. You can read the entire sermon on his blog. The United Church of Christ was officially represented by Houston Association Minister Joshua Lawrence and myself as a member of the planning committee. Our denominational motto “That they may all be one” was quoted over and over again throughout the service. We understand that this kind of work is worth all our effort. Please plan to join us next year as well. I was charged with an intercessory prayer for freedom of expression which you can read on my blog.